Well done to everyone who auditioned. We are pleased to say our cast is as follows. Keep your eyes peeled on our website for all the details for the show and of course the return of our show blog. Details of how to book tickets will be posted soon. Our script for Frosted has once again been written by Warren McWilliams, you can find his other scripts here and here. 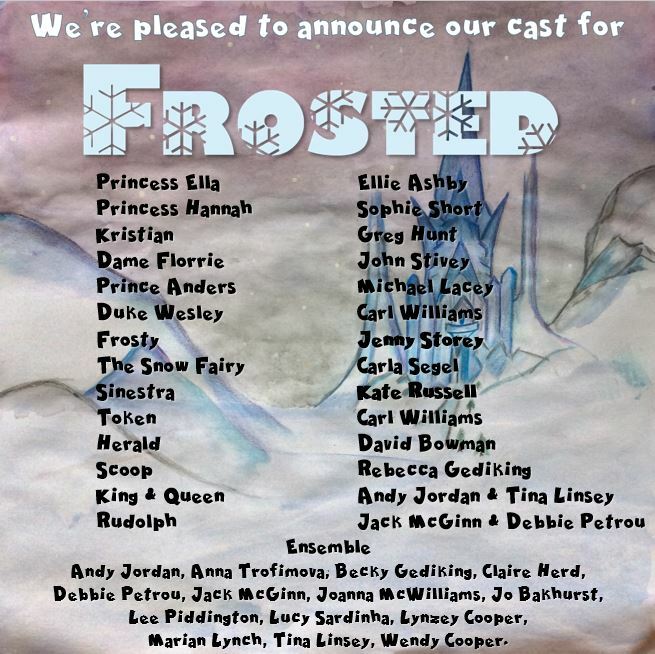 Frosted Blog – Read Through, Auditions & First Rehearsal.